Jose Antonio Ortega Bonet, known as “Pepe” and “el gallego” by his friends, was a Cuban-born entrepreneur and businessman who founded the Sazón Goya Company. Ortega married his wife, Lucila Galvis Gómez-Plata in April 1954. The couple had two children during their marriage, María Elena and José Antonio Ortega Jr. The family left Cuba in 1960 following the Cuban Revolution. 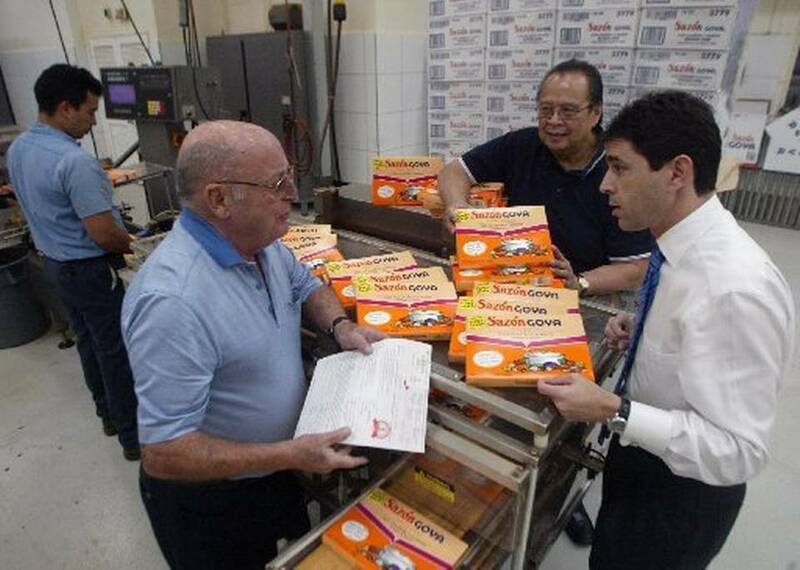 Ortega launched the Sazón Goya Food Company in Puerto Rico. Ortega and his family moved to Miami, Florida, in 1976. Once in Miami, Ortega continued to run Sazón Goya, expanding its products into new markets in the United States with the growth of the Hispanic population throughout the country. Ortega continued to head his company until his death in 2009. Ortega devoted his time to philanthropy, especially in the Miami area. He devoted time and money to a number of local institutions, including Mercy Hospital, the League Against Cancer and the Centro Mater Foundation. He established the Ortega Foundation to award scholarships to the children of his employees. When the Jose Marti Foundation started, Ortega was the first to reach out and provided the matching dollars needed to fund the Jose Marti Challenge Grant. In 1990, he became Chairman of the Jose Marti Foundation. Since then, because of his support, more than 500 scholarships have been awarded to students of Hispanic descent who have qualified for the Jose Marti Scholarship based on their academic qualifications and financial need. Pepe served as Chairman of the Board until 2009 when he passed away. After his dead, the Ortega Foundation continues providing funds to award scholarships to deserving Hispanic students.